Is your marketing helping you reach the best freelance writing prospects? That depends on your target market and how successful you are at reaching members of that group. One of the biggest mistakes a new freelance writer can make is having no target market. That's when you simply take any gig that comes along, whether or not you enjoy the work, whether or not you want your name associated with that client, and whether or not it pays you a professional rate. That said, having a target market isn't a cure-all. Let's talk about a common mistake on the other side of the spectrum. The only thing worse than failing to have a target market at all is focusing on too narrow of a market. This is when you have the image of your "perfect client" in your head, and you refuse to work with anyone that doesn't fit that mold. Don't get me wrong. There are certain aspects of choosing a target market that you should be more rigid about. For example, they have to be able to afford you. If they can't afford you're rates, they're not in your target market, period. I'm talking more about other qualifiers. For example, you might only want to work with Fortune 500 companies. Or you might want to focus on a very narrow sub-niche (for example, instead of writing about dog training you might want to only cover training for a specific breed). When you cling too tightly to some idea of the "perfect" client, and your ideal client is too narrowly defined, you end up costing yourself money, and some great gigs. If this sounds like you, you need to loosen your grip a bit. 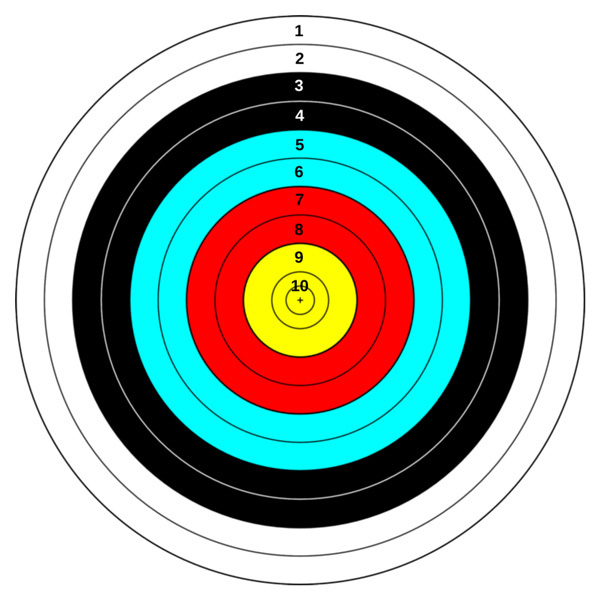 Instead of focusing on finding clients who are the perfect fit, pretend for a moment that you've decided to take up archery. When you're brand new, you're going to have hits and misses. You probably won't hit the bullseye very often. But in the beginning, you're probably going to be happy to hit the target at all. As you become more experienced, your aim will improve. Look at the target below. I've added points values to each ring. Now think about your target market in terms of the image above. Your perfect, ideal client? That's your bullseye. Ten points. But you don't throw in the towel just because you score 7, 8, or 9 points every once in a while. If you're brand new, you might be hitting 1 - 4 points more often. And that's okay. 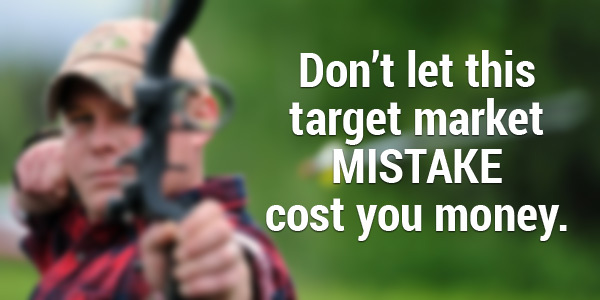 Those clients might not tick every checkbox on your wish list, but you're still hitting your target. And those clients can still bring enjoyable work and the pay rates you're looking for. Let's look at a hypothetical example. I have a background in PR. So let's say I wanted to focus entirely on PR writing (press releases, white papers, case studies, media kits, ghostwritten features, etc.). More specifically, I want to focus on PR writing for tech companies. And again, all of these clients would have to be able to afford my rates. Never assume smaller companies, or even solopreneurs, can't afford you. Their size never automatically rules them out on that front. As you can see, these client groups are related enough that they fit well together as part of a larger target market. But your target market isn't one, very narrowly-defined group of prospects. It can include several narrow groups. As another example, you might be a parenting writer who writes for print magazines. A related market that could fall within your overall target would be newsletters for companies that sell baby items, toys, or some other product parents frequently buy. Figure out what your bullseye is. That's what your marketing strategy will revolve around. But don't be surprised when those marketing efforts reach a somewhat broader group of potential clients. And don't dismiss those related clients simply because they're not what you had in mind. Take the time to evaluate those potentially unexpected offers. How close is it to what you were looking for? Would you enjoy the work? Can you competently handle the project? Will it pay enough? Think in terms of a target again. How many points would this client be worth? Some of the best gigs are the ones you didn't realize you were looking for. So stay open to them. Having a target market in mind is important. It's how you plan an effective marketing strategy. I've been told numerous times by new freelancers that they're afraid specializing on a specific market (or even group of markets) will make it too difficult to find work. But that worry is unfounded. Specializing doesn't limit you. By honing your marketing, specialization opens doors that are otherwise closed to you. Firing blindly in the dark, hoping to hit something, isn't a smart way to run a business. But neither is throwing away valid points just because you don't hit your bullseye every time. How does your target market look? Overly broad? Too narrow? Have you found a good balance? What factors did you consider when you set your target market? Share your thoughts and examples in the comments. Well said, Jenn! I’ve known freelance writers who will work only with what’s perceived to be top-shelf clients. However, some of my worst nightmares were at the hands of such people. You’re so right about the boxes needing to be ticked in more than one area — for example, I wouldn’t write for a top-tier magazine that paid 50 cents a word if I could write for another, lesser-known publication that paid $1.25 a word. I don’t seek the so-called glory of writing for a name, especially if that name is attached to someone who underpays me. That’s a good point. Just because someone has a big name, or even slightly higher pay, going for them, it doesn’t mean they’ll be a better client. The biggest issue I come across when working with large corporate clients is the politics of having too many cooks in the kitchen. Good approach… awhile back I said I wanted my coaching clients to have some sort of spiritual approach to their lives… nothing intense or specific and really hard to define. But most of them have had since then. Intention seems to work… and I like this approach to broadening the target. There’s nothing wrong with combining a few specialties. 🙂 But in that case, the best thing you can do is make sure the specialty areas have target market overlap. This way you’re still marketing to one basic client type instead of having to manage three different marketing strategies (which can take much more time away from paying work). These tips are great, not only for writers but for freelancers in general. Newbies usually face these kind of problems when it comes to targeting and networking. Luckily for them, it’s not too hard to break the habit and start narrowing your client market to those moer suitable to your business and rates.